´You don´t win friends with salad´. Doesn´t Homer Simpson always speak the truth? 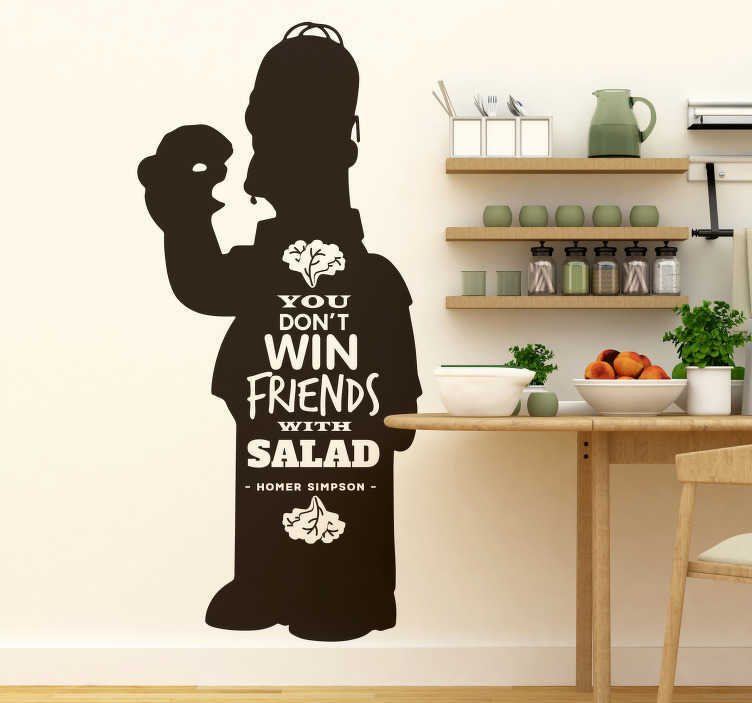 Well, we at Tenstickers believe that he does, which is why this fantastic wall text sticker is an absolutely superb piece of living room decor for those who don´t want to eat healthily - Nobody has ever been able to make friends or bond over a salad!